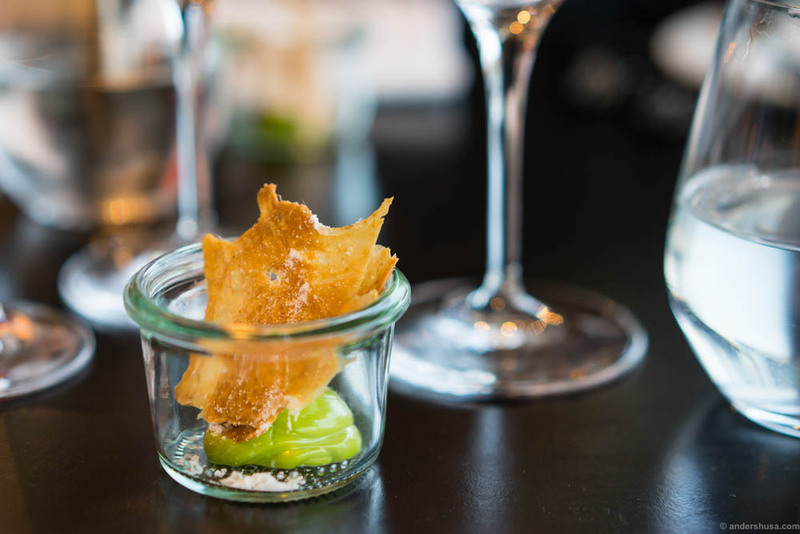 There’s a gem of a restaurant in Copenhagen hidden within the Black Diamond. The location is off the typical tourist track, but not that difficult to find when you know about it. 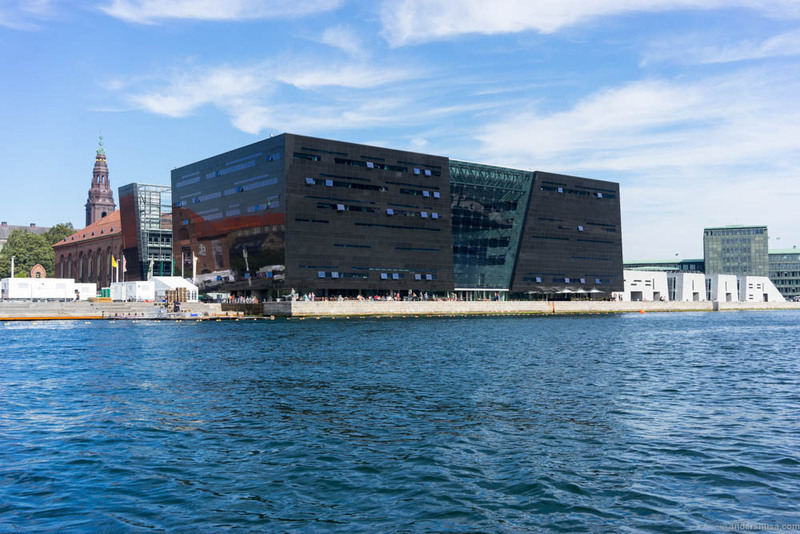 Søren K is located on the ground floor of the Royal Library, by the waterfront along the canal stretch from Knippelsbro to Langebro. 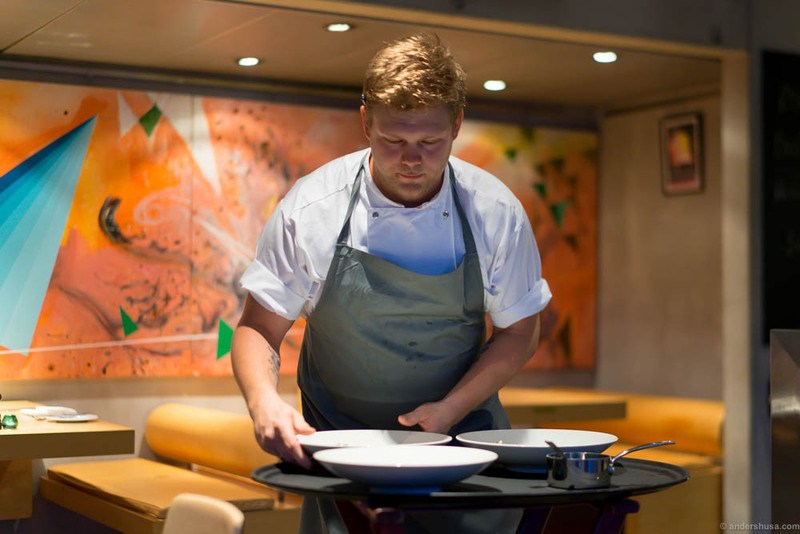 Head chef Casper Stuhr Sobczyk is a young talent who’s been given the freedom to pursue his own style in a restaurant that’s been around for a while. 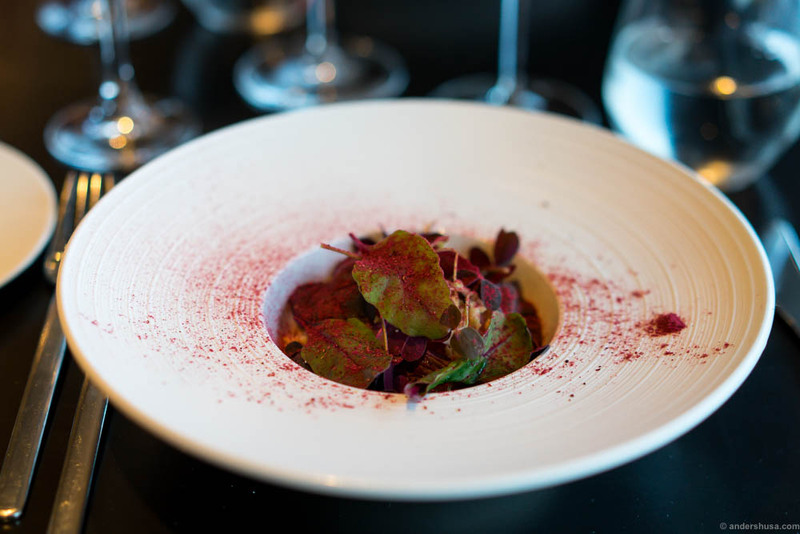 I would describe it as a modern Nordic cuisine, with its typical focus on seasonal and local ingredients, that also applies some of the techniques and rich flavors of the classic French haute cuisine, but with a rougher presentation. 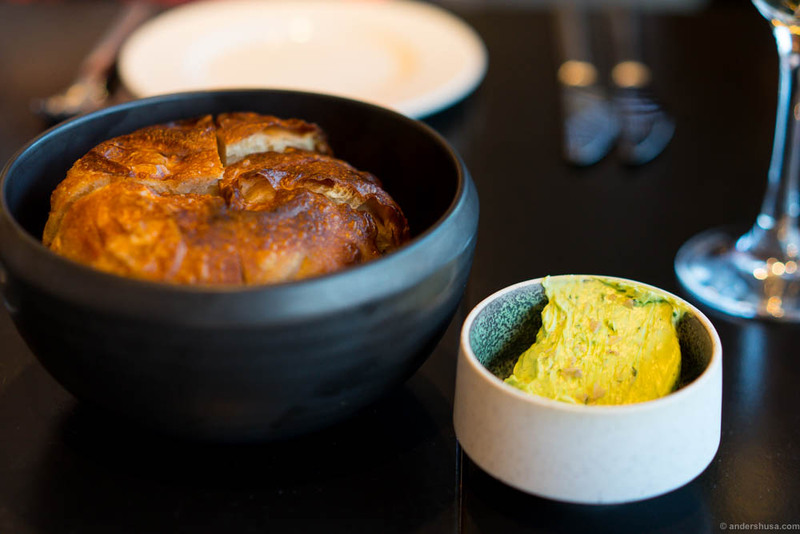 Update: Casper Stuhr Sobczyk is no longer the head chef at Søren K, and the food concept may have changed as a result. 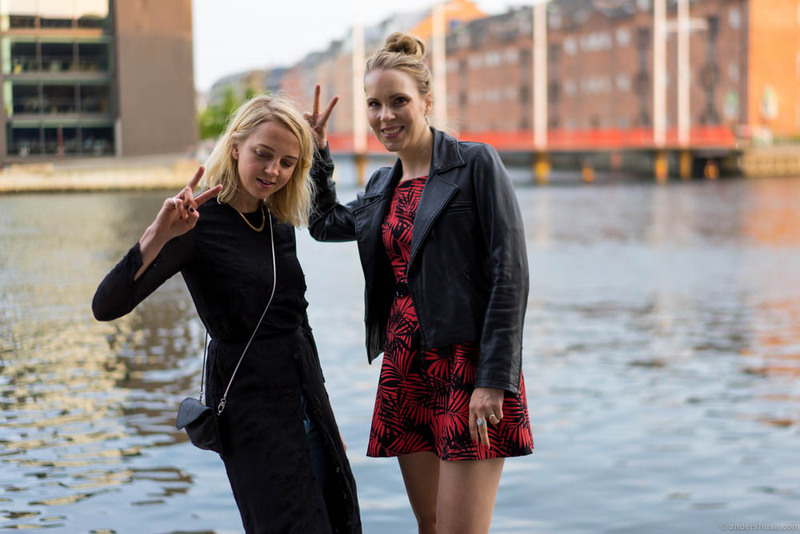 We met up with fashion and food stylist Mette Mortensen in Jægersborggade earlier in the day, for the mandatory glass of wine at Manfreds. 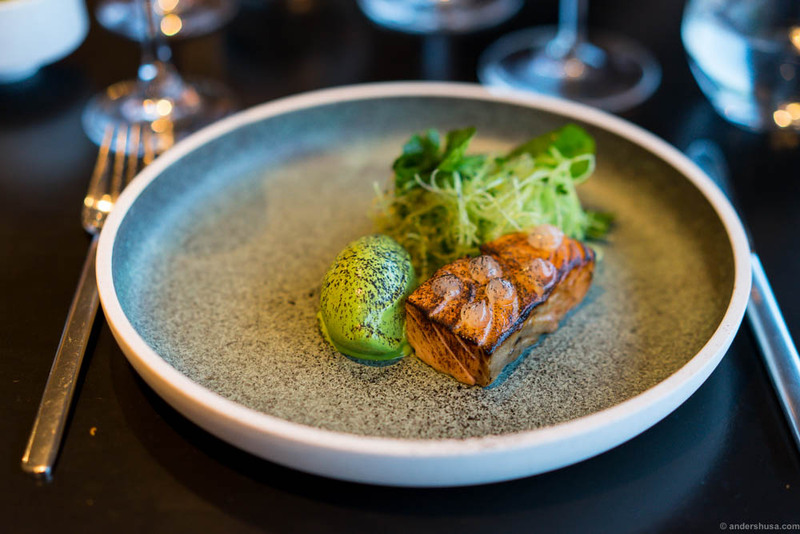 Since we had such a good time together we decided to continue our journey to Søren K – which is one of 10 new places you need to know in Copenhagen. After the girls changed their outfit that is … Luckily, we stayed at hotel Copenhagen Island, which is along the same canal stretch as the Black Diamond. The building’s nickname is a reference to the irregular angles, prismatic shape, and the polished black granite exterior. It was designed by Danish architects Schmidt Hammer Lassen and completed in 1999, along with the restaurant that is named after the Danish philosopher Søren Kierkegaard. There are not many places in Copenhagen with such a beautiful view of the canal. The closest I can think of is restaurants Studio and Almanak at the Standard. Sitting at Søren K you are looking over to the magnificent Cirkelbroen. Designed by Olafur Eliasson with large pillars made to look like the masts of a sailing vessel and four circular plateaus, of which two can rotate and separate to allow bigger boats to pass. For a closer look at the bridge and a view of Søren K from the sea: check my video from a GoBoat. Søren K scores really high in value for money. You can get a three-course lunch for DKK 245. 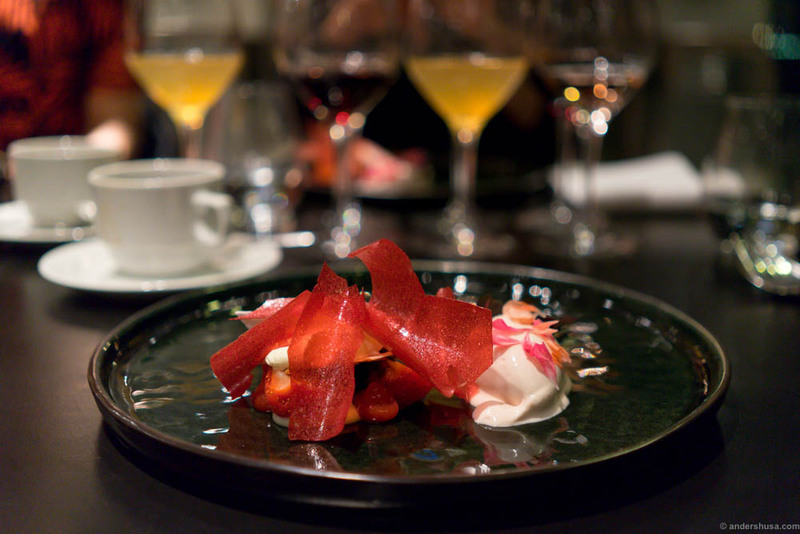 In the evening there’s a four-course dinner that includes wines (! ), coffee and petits fours priced at a modest DKK 795. 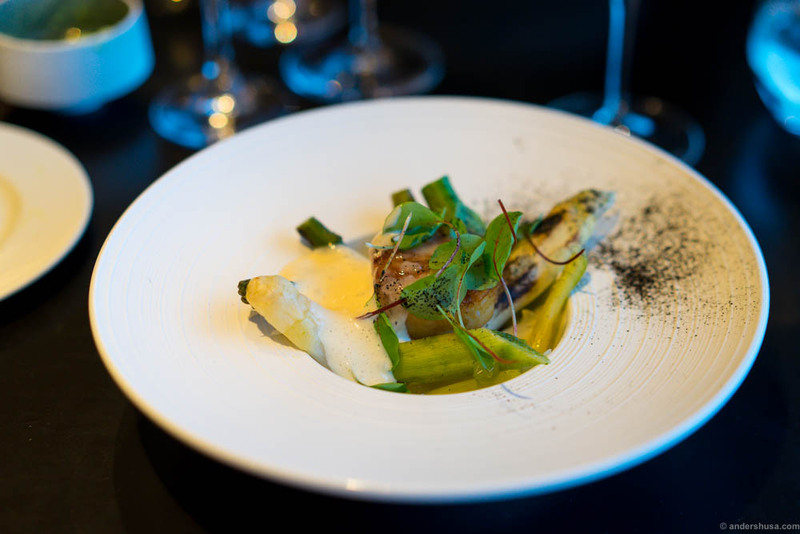 You can also go all out on the à la carte like we did, but that’s if you can’t decide between all the tempting dishes on the menu. 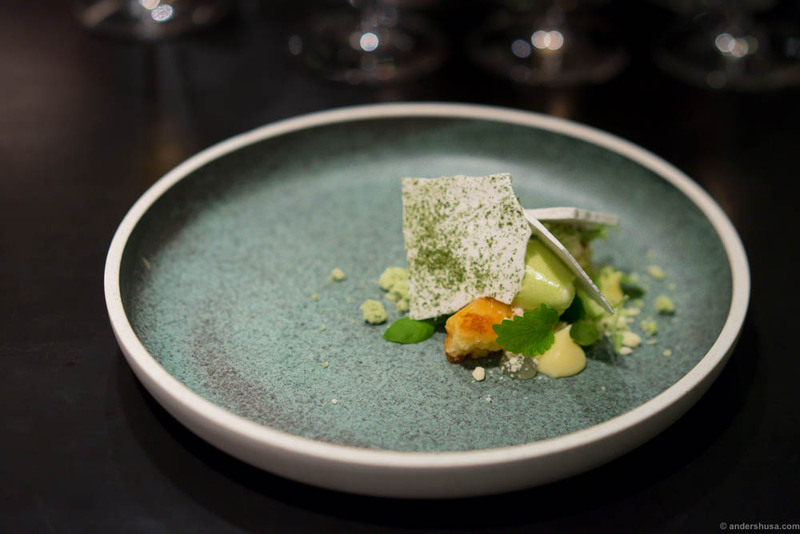 One that really stood out this evening was Casper’s mix of hot and cold: the burnt salmon and watercress ice cream. Combining elements of different temperatures can be tricky, but he masters the art. 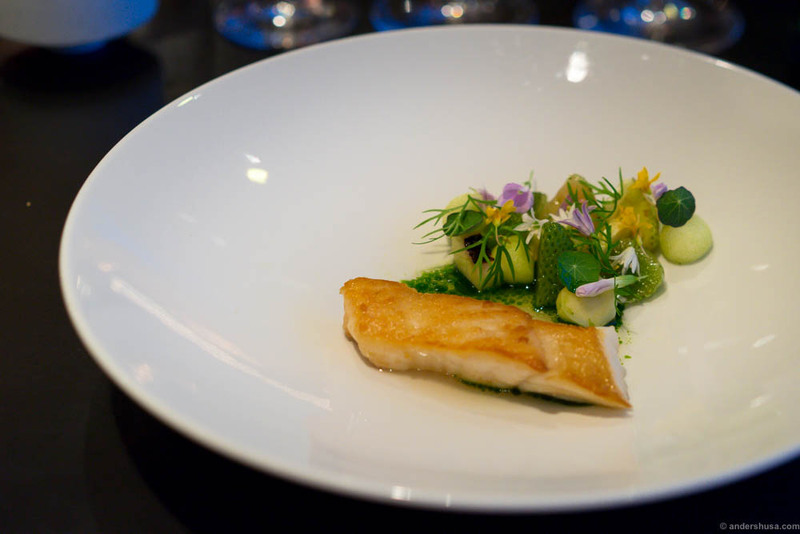 A gel of lemon gave the dish the acidity it needed. The presentation was probably my favorite of the night, although I liked his tartare was well. 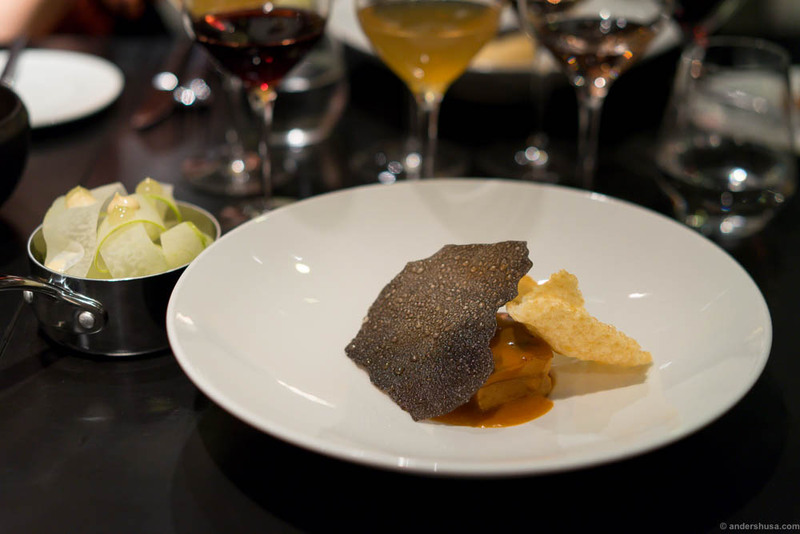 Each dish at Søren K was a real treat for the taste buds, with high-quality ingredients and good technical work. Be careful with your à la carte selection, though. I wouldn’t recommend the amount we had. You’ll just end up too full, which makes it slightly less enjoyable. I found the plating of the smaller starters and desserts more interesting than the main courses. The style of the latter was too rough, and they didn’t match the elegance of the rest. Also, for some reason, they were all served on the same dull, white plate. Still, I think the interior of Søren K is the biggest issue right now. 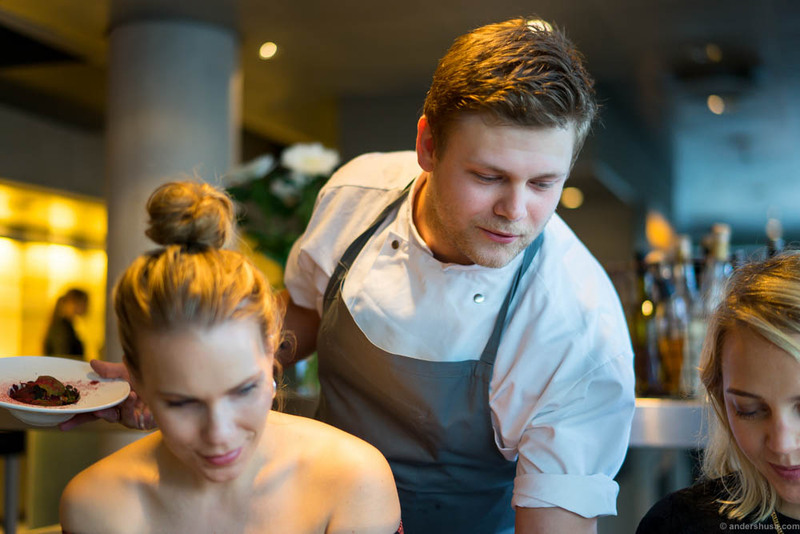 It simply doesn’t add to the otherwise wonderful experience, the view of the sea and the great cooking of Casper Sobczyk. Did you find your way to Søren K? Please share your experience in a comment below.